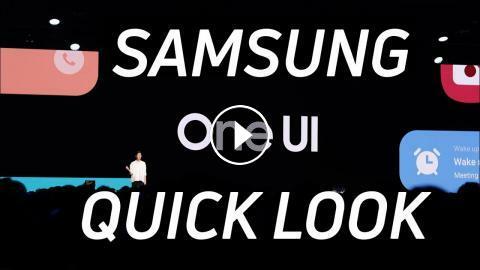 ﻿ Samsung One UI: Quick Look! Samsung One UI: Quick Look! Read more: | Samsung just announced One UI, a new user interface for Samsung devices that brings back focus and usability. Samsung Galaxy S7 vs Nexus 6P - Quick Look! Samsung Galaxy S5 vs LG G2 - Quick Look! Samsung Galaxy S5 vs iPhone 5S - Quick Look! iPhone 6 vs Samsung Galaxy S5 - Quick Look! Samsung Gear VR - Quick Look!